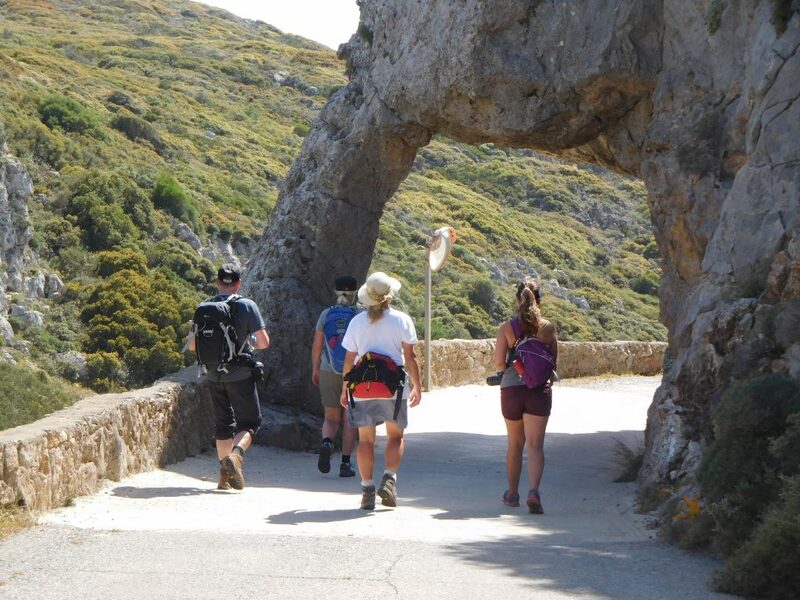 This Guided Group Walking Holiday is ideal for the sporty walker who loves varied and rather strenuous walks. You stay in a comfortable hotel and you are in for good food as well during and after the walks. In addition to this, by meeting Kythirians, you will get to know the traditional and contemporary island life better. 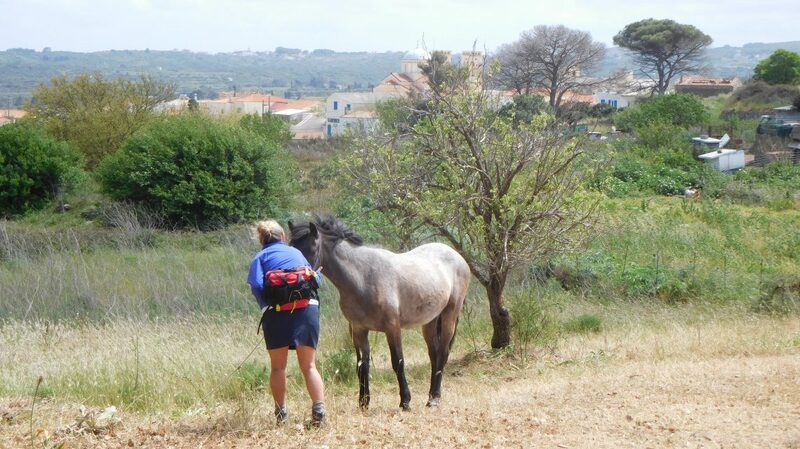 We walk all over the island, exploring nearly abandoned villages and crossing very varied landscapes. We will be impressed by its moving history and interesting traditions and be frequently amazed by its stunning views. In the meantime we will meet friendly and hospitable islanders. Joining the group in April, you will enjoy the overwhelming beauty of flowers and herbs, in October, a dive in the still warm sea will be the best relaxation when the heather colours the hills purple. The walking group is small and your guide Frank is personable and knowledgeable. 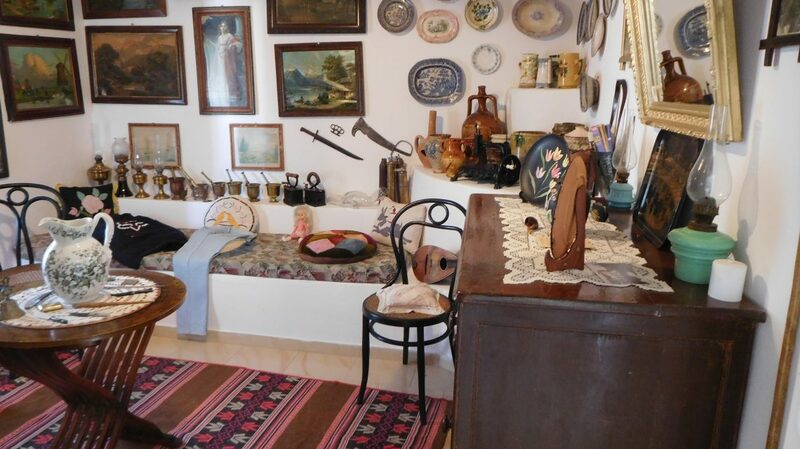 Frank owns Pyrgos House – Kythira’s walking specialist. He lives on Kythira and he knows the island inside out. 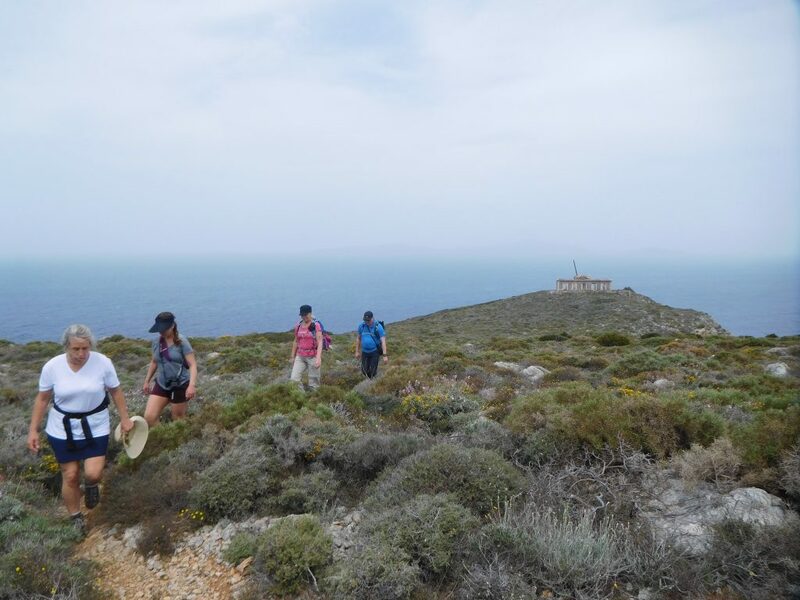 After your arrival on Kythira and transfer to your hotel in Agia Pelagia, Frank will inform you about the walking program. You will meet the other participants while enjoying a welcome drink. If time allows us, we will make a short walk to Limni. In the evening, dinner will be served in one of the seafront restaurants in Agia Pelagia. The taxi will take us, in 10 minutes, to nearby Karavas. Here we visit the bakery where they bake the well known Kythirian paksimadia (olive oil rusks). 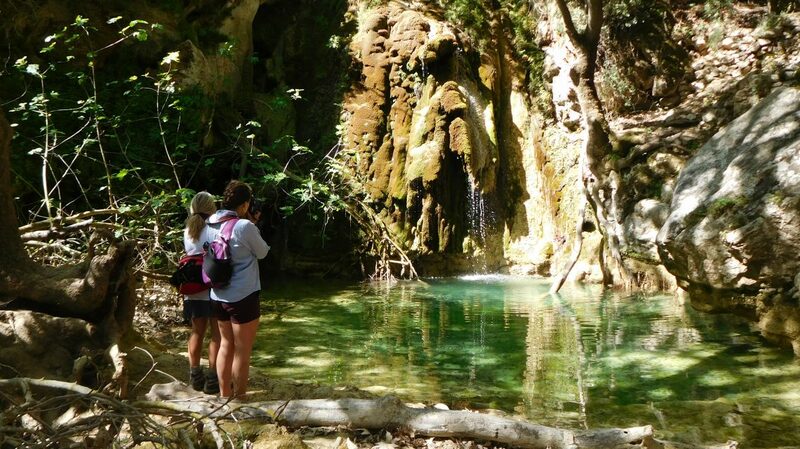 We will then walk through Karavas with its many springs. Along an impressive landscape, we descend to Agios Nikolaos Bay, the North Cape. 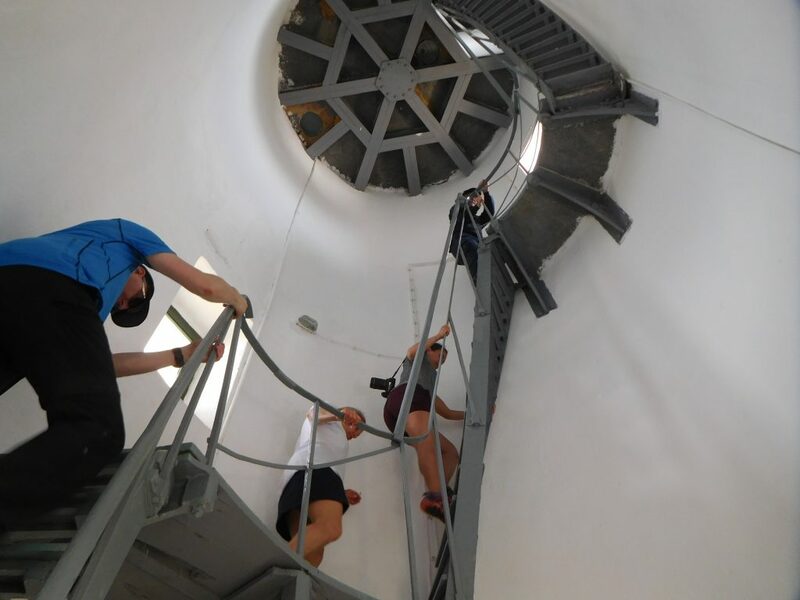 From here we climb onto a narrow goat path to Moudari Lighthouse, a former signal house and the mythological cave of Helena and Paris. Full of impressions we continue our route to the peaceful fishing village Platia Ammos. Here we will enjoy our lunch before the taxi takes us back to Agia Pelagia for dinner later on. After breakfast we walk to Potamos, the centrally located village in North Kythira. Here we visit the traditional Sunday morning market and then walk along narrow alleys to two churches which will be opened especially for us. Before having lunch on the village square, we visit a tsipouro distillery. We walk back to Agia Pelagia along a different route. In the evening, dinner is in Agia Pelagia. After a 10 minute transfer, we start a strenuous tour which is characterized by culture and history. 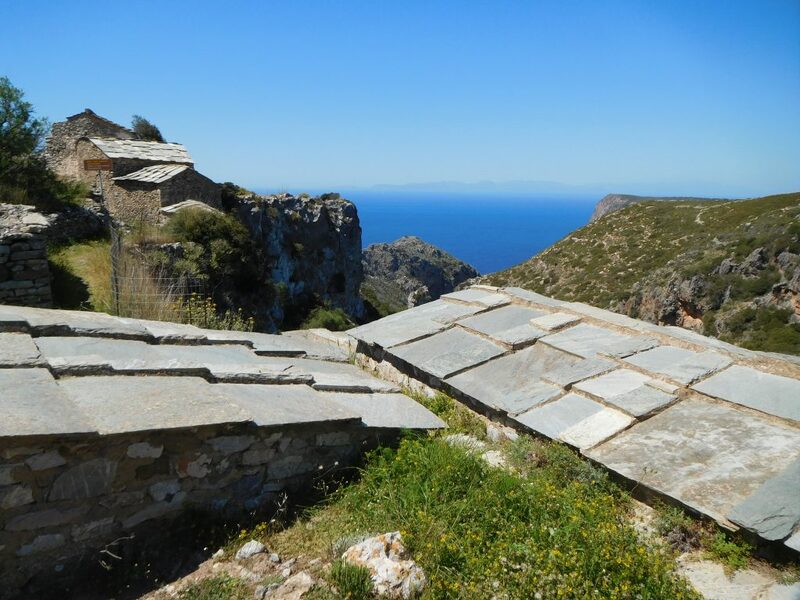 Via Melitianika and Trifyllianika, we walk along an historic path to Paleochora, Kythira’s former capital. This ruined city will certainly impress us. 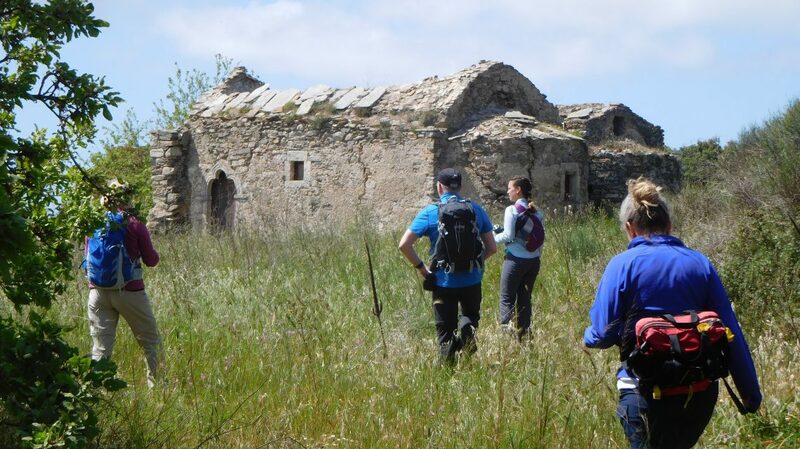 We continue the walk in a southerly direction to Osios Theodoros Monastery, dedicated to a local saint. We walk to Pitsinades and Aroniadika where in the local kafeneion, we will enjoy our lunch. Transfer back to our hotel and dinner in Agia Pelagia. After a 20 minute transfer, we start today’s walk in Mylopotamos village square. 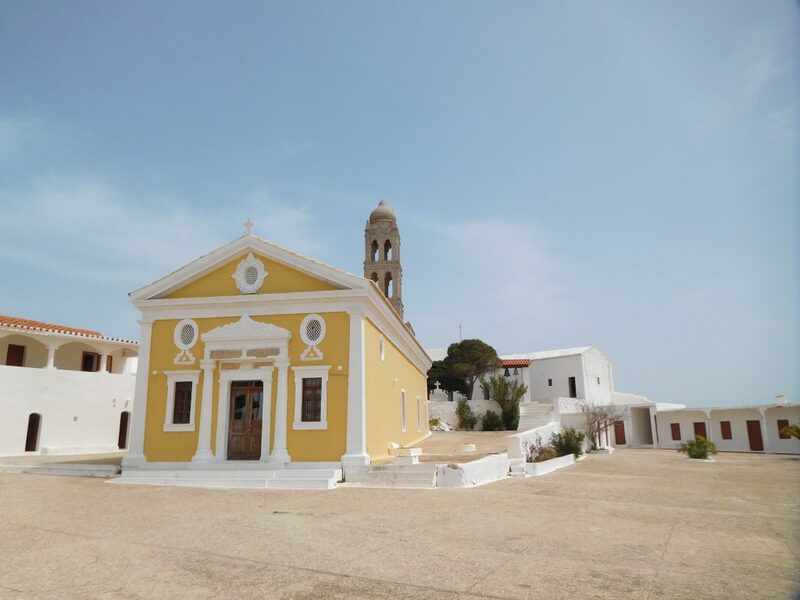 We will visit the beautiful Greek Orthodox Church, which will be opened especially for us. 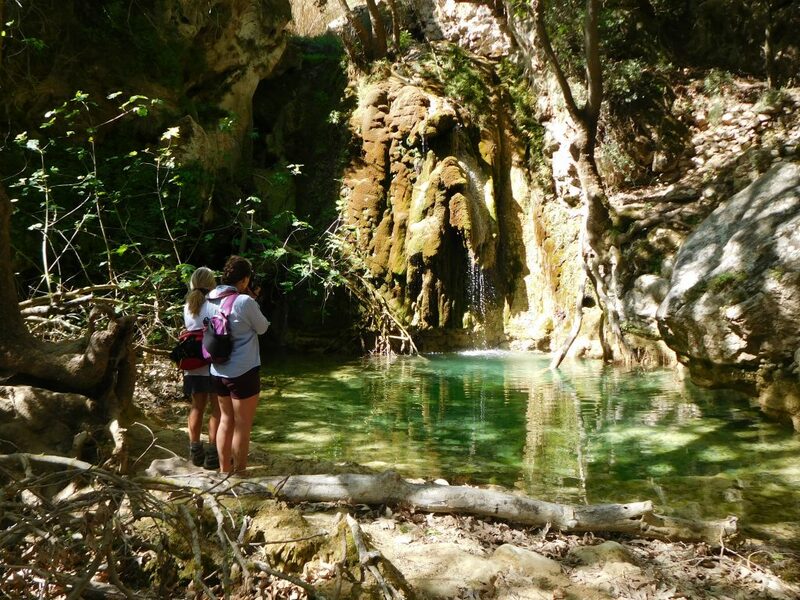 We walk to the famous Neraida waterfall and follow the stream with 23 watermill ruins. We will visit the only watermill that has been restored. 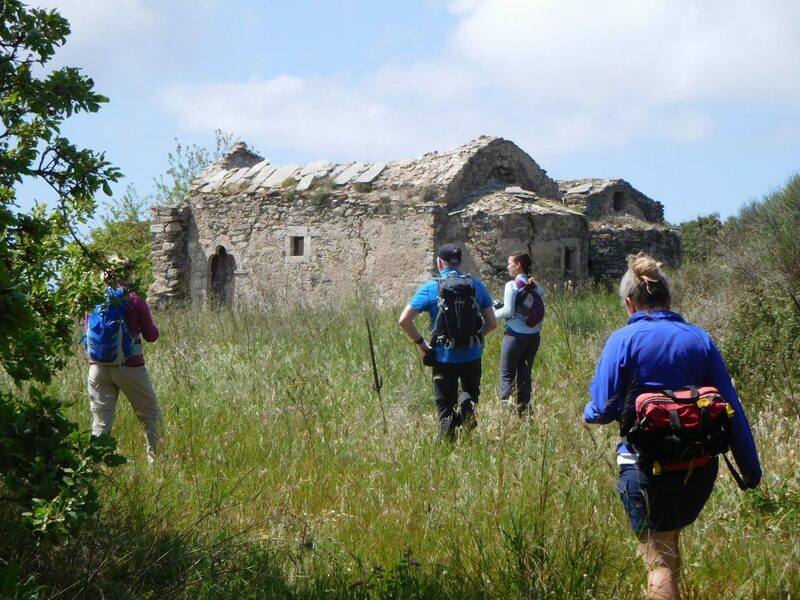 From the watery valley, we continue our walk to Kato Chora, a Byzantine and Venetian settlement. Back in Mylopotamos we will have a lunch underneath the plane trees. Transfer back to Agia Pelagia where, later on, we will have a light dinner. Apart from relaxing in your hotel or on one of the nearby beaches, you might want to join a canyon tour or visit the olive oil workshop. More information will be given during your stay. The transfer to Mitata takes 20 minutes and here we start our walk to the east coast. 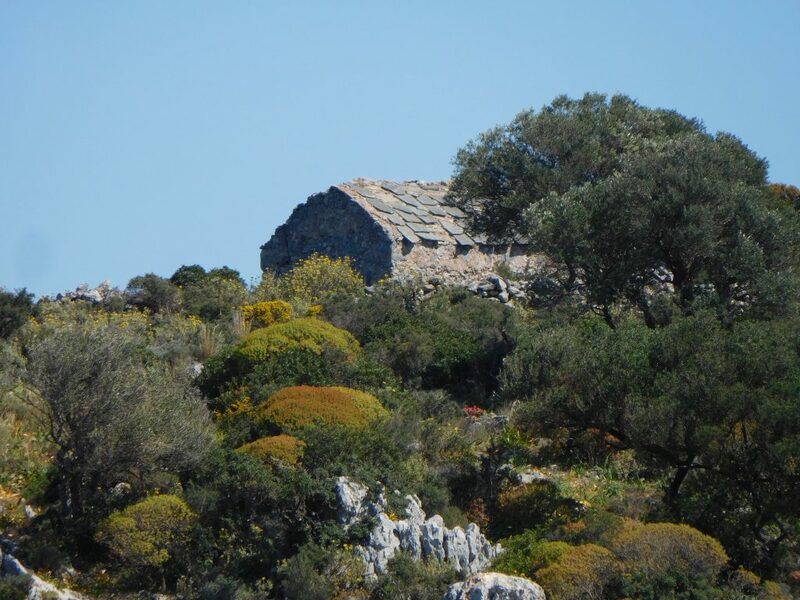 First we will visit the mysterious Black Cave and then continue the route along old paths, past watermill ruins and through a beautiful valley with olive groves that gradually descends towards the sea. 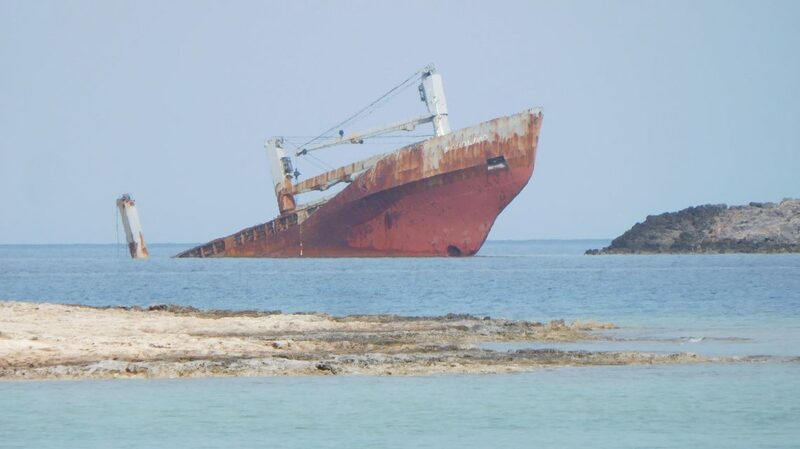 At Paleopoli we have plenty of time for a refreshing dive in the sea or to visit Minoan grave chambers. Before our transfer back to Agia Pelagia we will have lunch at Scandeia. In the evening we will join an olive oil tasting in the hotel followed by a light dinner. Today’s program: culture, craft, religion and tradition. After a 30 minute transfer we start our walk in Livadi, the centrally located village in South Kythira. Apart from the British Bridge in Katouni (the longest stone bridge in Greece) we will visit the Roussos Ceramic Atelier and the beautiful Byzantine Museum in Kato Livadi. 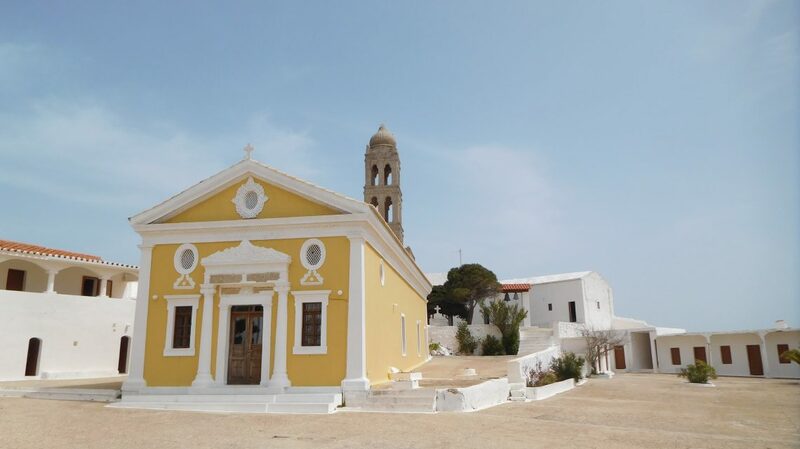 After lunch in Livadi we walk via one of the typical British school buildings (mid 19th century) and some beautiful hamlets to Panagia Myrtidiotissa Monastery, Kythira’s most important pilgrimage place. The taxi takes us back to Agia Pelagia where we will have dinner. Today we return to the east part of the island. After a 30 minute transfer we start our walk in Avlemonas, Kythira’s former Venetian harbour. 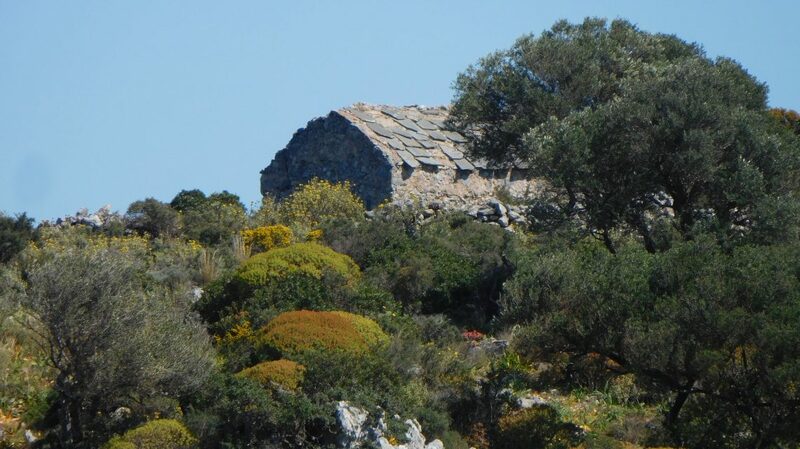 Via a strenuous climb we will reach the Agios Giorgos Churches. From here we can see the Agia Moni Monastery, located on the next hill – today’s second climb. 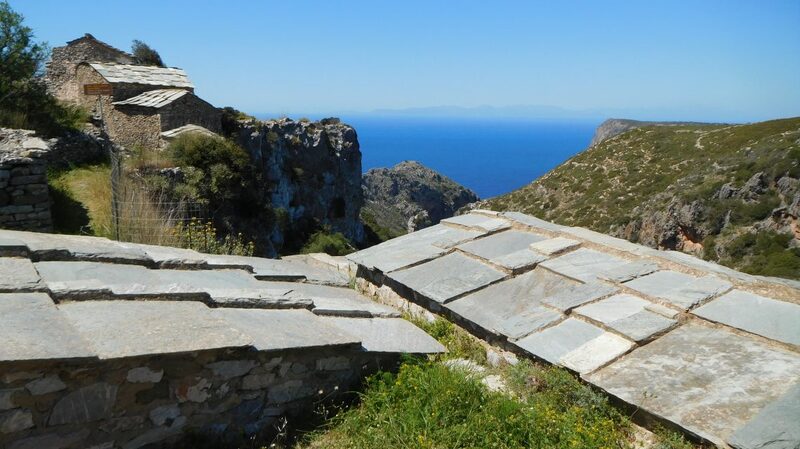 Having visited the monastery, we descend along a beautiful path to Diakofti, Kythira’s harbour. Here we will have time to relax and enjoy our lunch. Time is on our side. When we want to leave for Agia Pelagia we will call the taxi. In the evening, dinner in Agia Pelagia. The taxi will take us, in 40 minutes, to Chora where we start a nice walk along the medieval Mesa Vourgo’s small alleys. 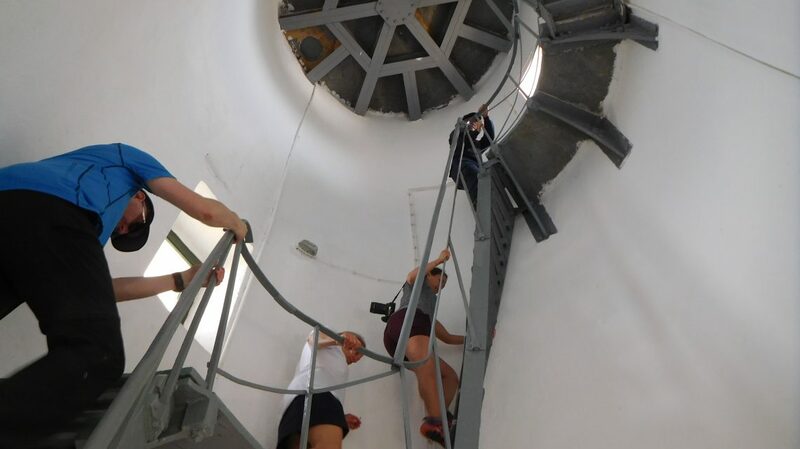 We will visit two churches and the impressive Venetian Castle. We descend along a goat path around the castle to Kapsali. In this coastal village we will visit three caves. After our lunch by the side of the bay, we continue the walk to Kalamos. 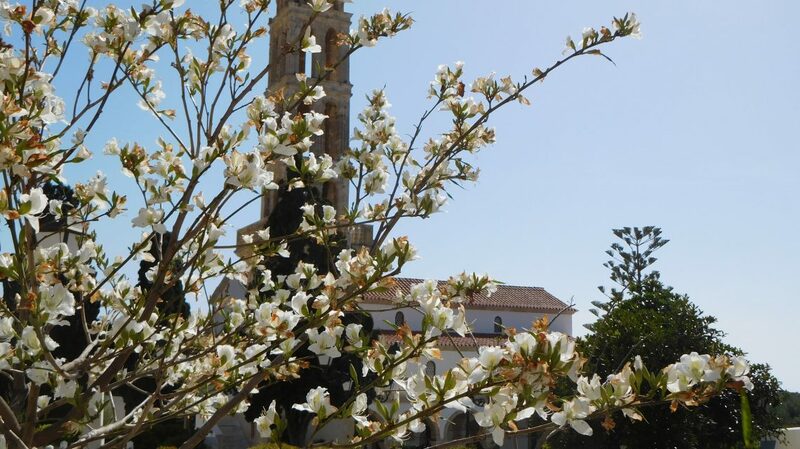 Here we will visit Agia Sophia’s Cave and a very traditional kafeneion. Then it is time to go back to Agia Pelagia for our farewell dinner. Today you leave beautiful Kythira. The taxi will take you to the airport. If you want, you certainly can stay longer. We will be happy to inform you about the possibilities. Price: 1045.00 euro per person, based on a double room. Surcharge for a single room: 150.00 euro. If you book before January 15th 2019, we offer you a discount of 100 Euro per person! 10 night’s accommodation and all meals (breakfast, lunch and dinner) from the first day until the last morning (apart from lunch and dinner on day 6). Hotel: your stay is in Filoxenia Apartment Hotel, Agia Pelagia, within walking distance of the sea. This very comfortable hotel offers a swimming pool, WIFI, a bar and an extensive breakfast buffet with local and organic products. 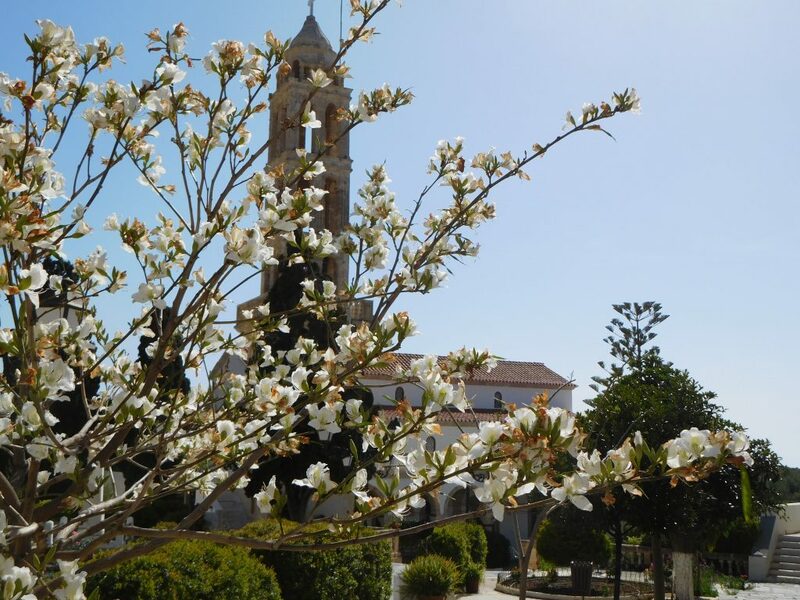 Click here to access Hotel Filoxenia’s website. 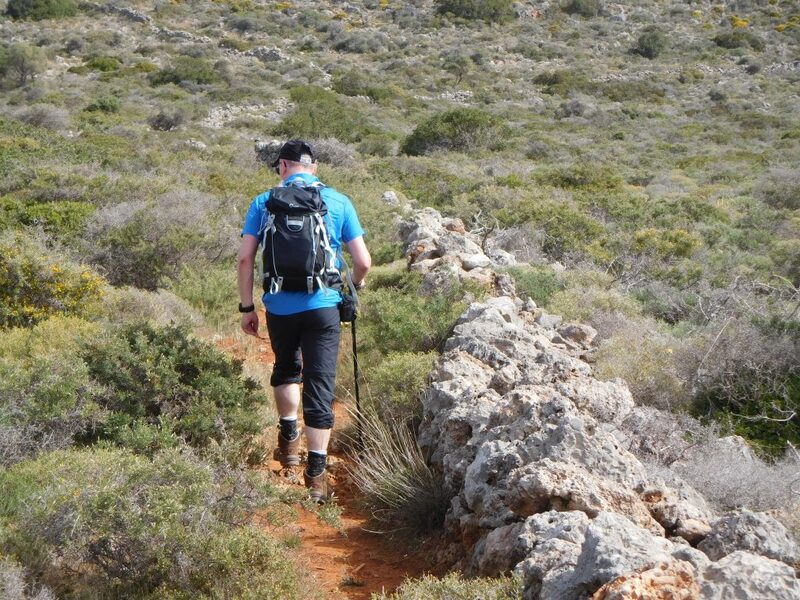 Guidance: Frank van Weerde, experienced and professional walking guide, living on Kythira since 2003 and owner of Pyrgos House. Participants: minimum number of walkers 4, maximum 10. Difficulty: rather difficult. 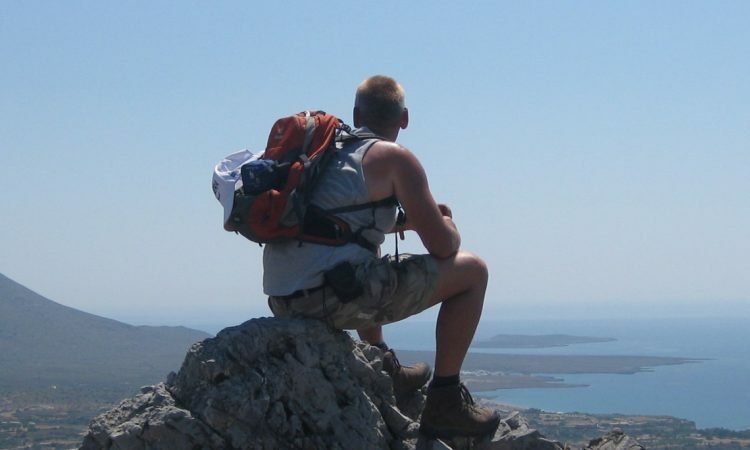 Kythira is a hilly island, for each walk the descent or ascent is 300 – 950 metres. 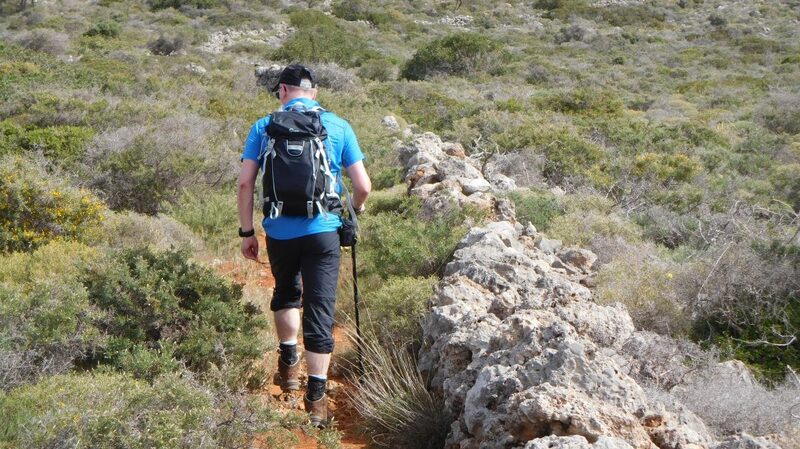 You should be in a good physical condition and preferably an experienced walker. Distances: daily 7.5 – 15 kilometres; duration: 6 – 8 hours (breaks included). Lunch and dinner: if you have specific dietary needs, please tell us at the time of reservation. Your flight to Kythira: you arrange your own flights. 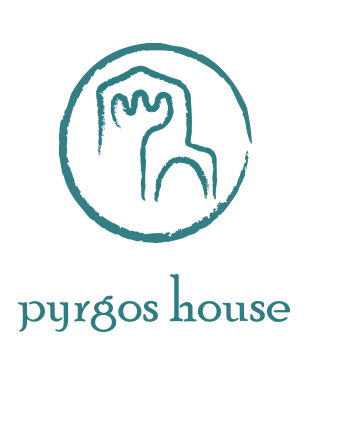 Pyrgos House is happy to advise you. Are you member of a walking club or do you form part of a friend – or family – walking group? 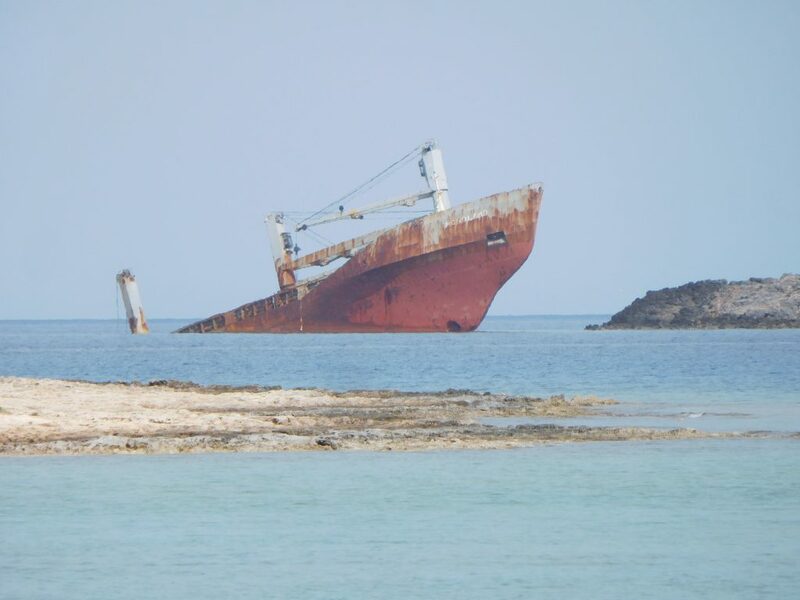 In that case, why not consider bringing your group to beautiful Kythira? 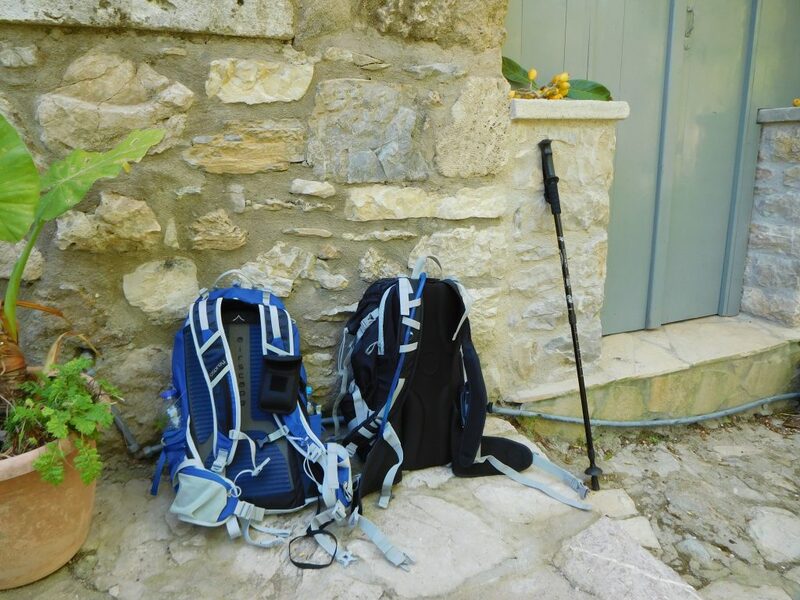 Pyrgos House can help you organize an unforgettable group walking holiday. 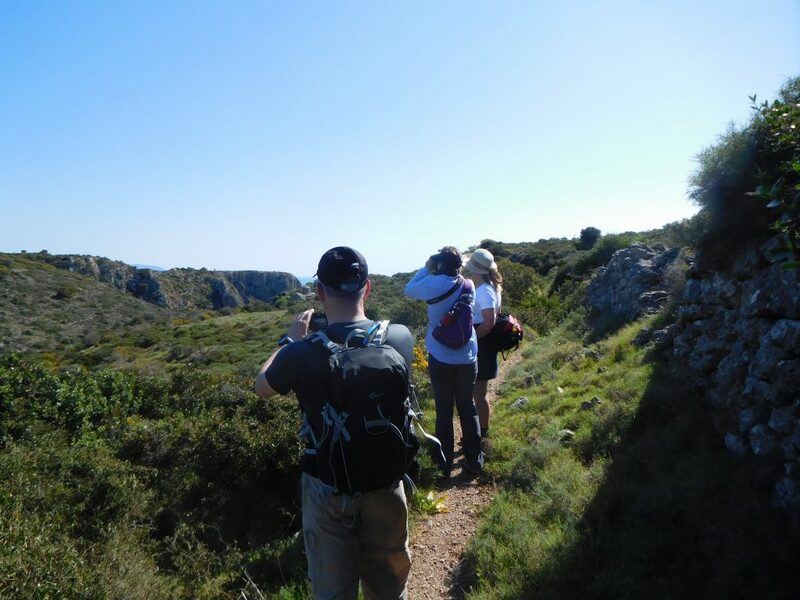 For instance, on our three hiking holidays, we offer an interesting discount for groups of more than 6 walkers. We would be happy to provide you with all practical information. 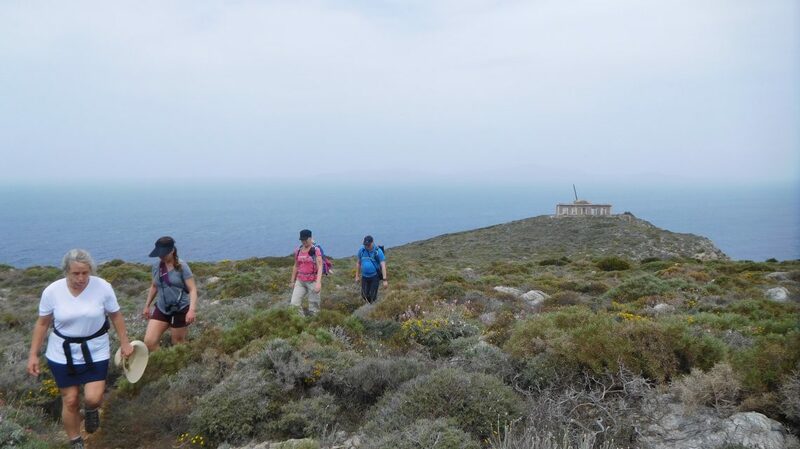 Since 2013, Pyrgos House organizes centre-based walking holidays for groups (more than 6 walkers). We cooperate with Hotel Filoxenia Apartments in Agia Pelagia, a very comfortable hotel within walking distance of the beach. 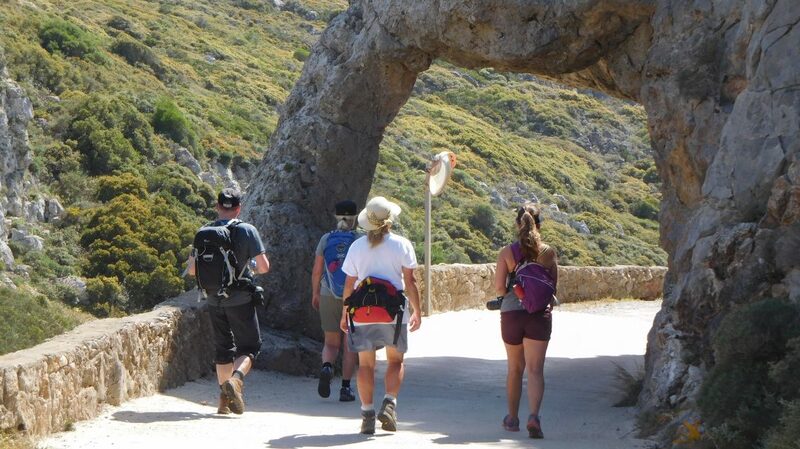 On arrival day, Frank gives information to your group about Kythira and the walking program. 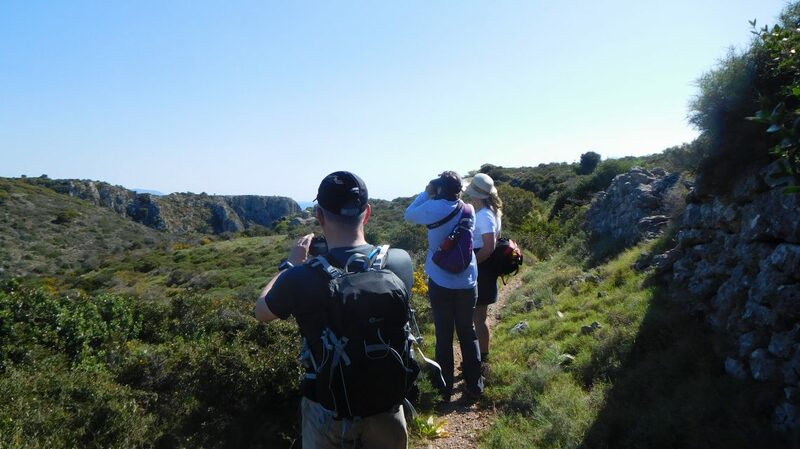 All participants will receive a detailed map, route descriptions and an English information book about Kythira. Click here to access Hotel Filoxenia’s website. 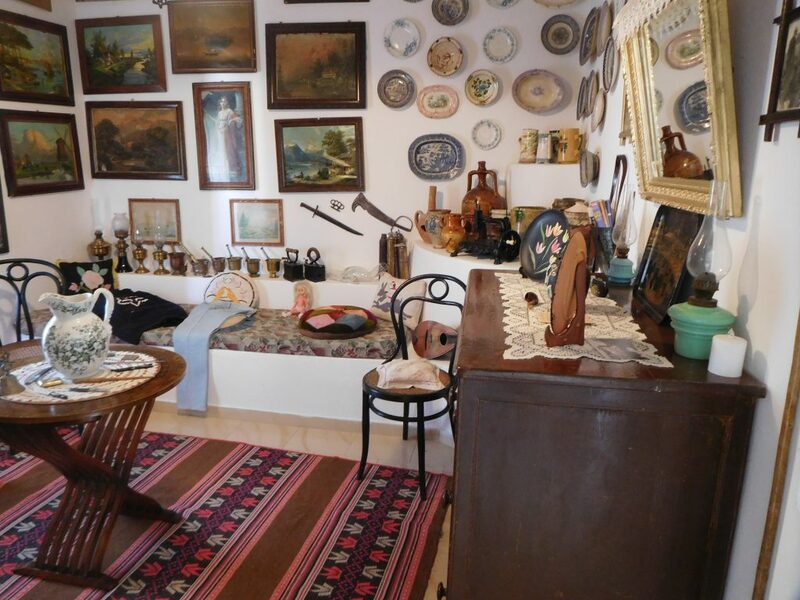 In cooperation with walkers, Pyrgos House arranges varied and tailor-made programs. Your wish will be our command. 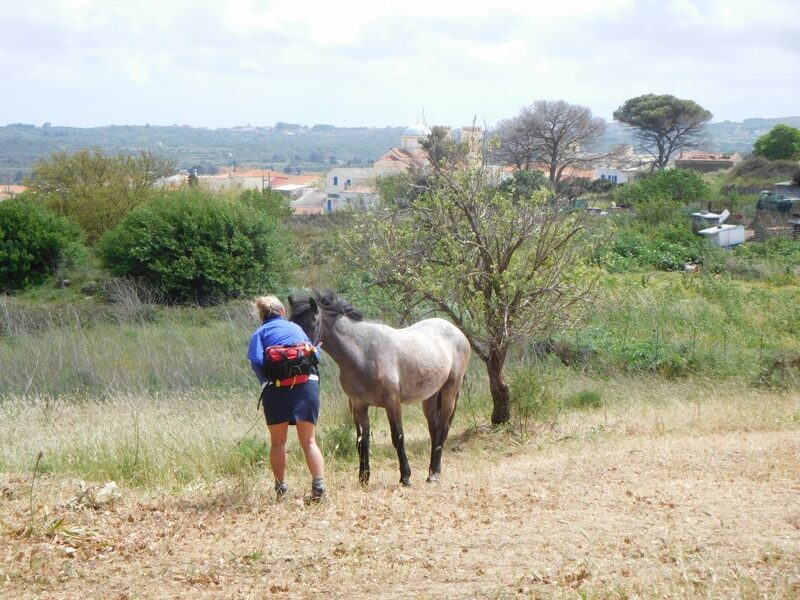 Being walking specialists, we are the best informed about routes, highlights and excursions. Send your request using the contact form and we will be happy to inform you about the possibilities. 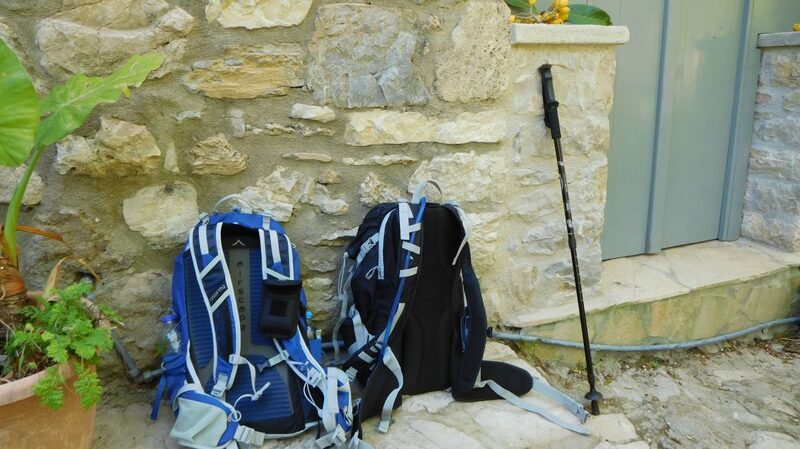 Pyrgos House shows you the way to ensuring your walking holiday is unforgettable! !